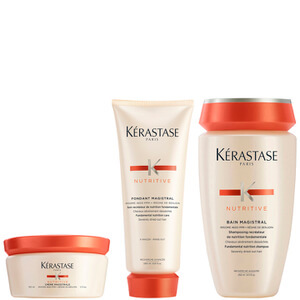 Treat dry hair to the Nutritive Fondant Magistral, Bain Magistral and Crème Magistral from Kérastase. The high performance trio work to cleanse, nourish and revitalise brittle hair whilst restoring healthy-looking locks with revived radiance. Catering specifically for highly sensitised, fine hair, the Fondant Magistral delivers intense nourishment to restore super soft, healthy-looking strands from root to tip. With an Irisome 4600ppm Complex, the innovative formula gently eliminates impurities, whilst a regenerating blend of Benjoin Resin, Ceramide and Xylose strengthens and restructures hair fibres from within. Improves manageability and defends against heat styling to reveal calm, sleek locks with every use. 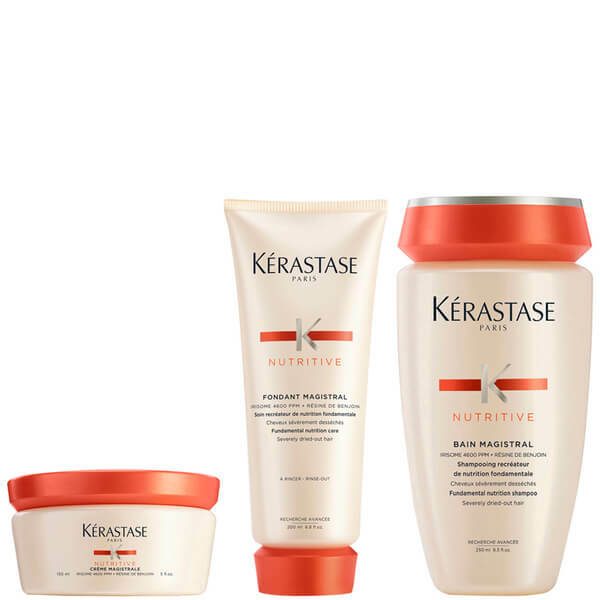 Kérastase Nutritive Bain Magistral is an ultra-nourishing shampoo that works to restore soft, smooth hair with luminous shine. Ideal for extremely dry, brittle hair, its effective formula utilises an Irisome 4600ppm Complex to gently cleanse hair, whilst a nourishing blend of Benjoin Resin, Ceramide and Xylose work to strengthen, revitalise and repair strands from root to tip. Experience hydrated, sleek locks with increased manageability. Intensely nourish hair with the Nutritive Crème Magistral. The effective formula designed to visibly treat and texturize dried out hair utilises an Irisome 4600ppm Complex that gently cleanses hair. A nourishing blend of Benjoin Resin, Ceramide and Xylose work to strengthen, revitalise and repair strands from root to tip. The crème produces lively, hydrated and sleek locks with increased manageability and a lightweight finish. Fondant Magistral: Apply to washed and towel-dried hair. Massage onto lengths and ends. Leave on for 2-3 minutes. Emulsify and rinse thoroughly. Bain Magistral: Apply to wet hair. Massage and emulsify. Rinse. Repeat twice. 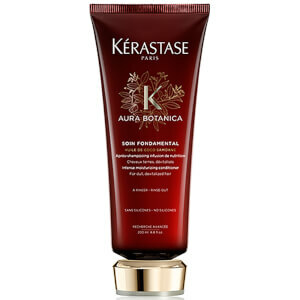 Crème Magistral: Apply to washed and towel-dried hair before the brushing. Massage onto lengths and ends. Blow-dry. Leave-in. And/Or, apply to dry hair after the brushing as a finish touch. Leave in. Fondant Magistral: 200ml / Bain Magistral: 250ml / Crème Magistral: 150ml.